Cheated out of a fortune, Chin’s luck changes when he meets a mysterious monk. 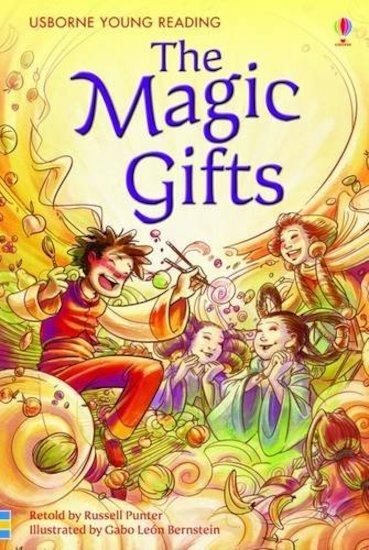 For the old man’s gifts of a mat, a spoon and a pair of chopsticks are not as ordinary as they seem… Based on a Korean folktale, this lovely little book tells a classic story in rich, vibrant artwork and carefully-levelled text. Presented in a hardback gift edition with a ribbon marker, the book supports Level One of the Usborne First Reading series, for beginners who are just starting to read alone.